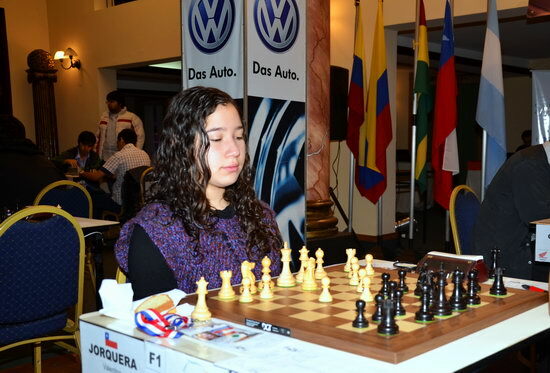 IM Evandro Amorim Barbosa and Valentina Jorquera have won the 7th edition of the South American Junior Chess Championship in the open and girls' section respectively. The tournament was organised from June 15-22 in the beautiful city of Asuncion, Paraguay. The federations Players from Argentina, Bolivia, Brazil, Chile, Colombia, Ecuador, Paraguay, Peru, Surinam, Uruguay and Venezuela took part in the event. 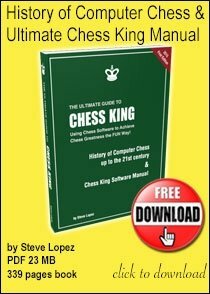 IM Evandro Amorim Barbosa won the open section with 7,0/9 securing a GM norm as the winner of the event. 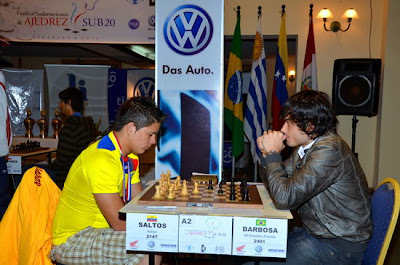 The last round draw against Adrián Saltos Vélez was enough for Barbosa to secure the first place. Second place went to FM Santiago Yago De Moura. 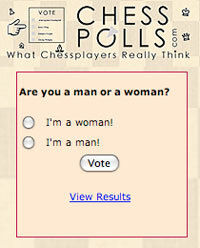 As he had the same points as the winner, he was awarded the IM title. The top local finisher was FM Guillermo Vázquez, third with 6,0/7 and just a step away from an IM title. 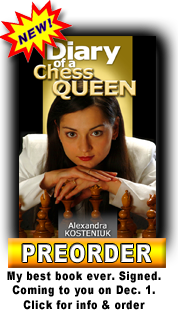 The girls' section was won by Valentina Jorquera with 7,0/9. She was awarded the WIM title for the victory. 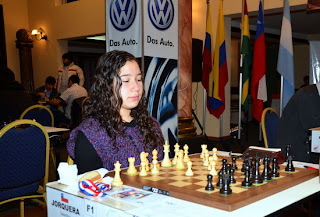 WFM Adriana Pachon won the silver, while bronze went to Bolivian chess champion WIM Daniela Cordero. 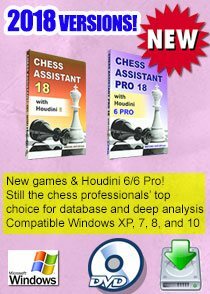 There is more information available on the Spanish version of Chessdom.